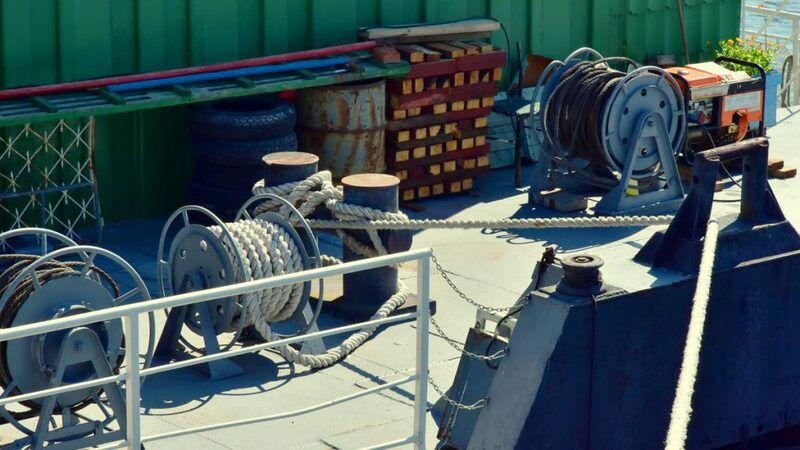 Sell of Ropes and Cables for ships in Panama with Oceanco provides a variety of materials, among them is the unique blend of Innegra™-S, a high modulus polypropylene (HMPP), and Dyneema®, a high modulus polyethylene (HMPE), gives ML-12 performance characteristics between traditional polyesters and high-performance 100% Dyneema® lines. Because ML-12 offers lighter weight and higher strength at the same diameter as traditional polyester lines, it can be used on existing equipment for heavier pulls. Size-for-size, ML-12 is stronger than polyester lines, making it possible to downsize the line on the equipment. The result means the reel can pull the same load and store much longer lengths. ML-12 has reduced elongation over traditional polyester lines. Samson pulling and stringing lines are available in long lengths and fit any winch on any job. Not only do these lines offer low stretch and durability but they also have excellent abrasion resistance. There is a wide offering in this category from economical polyester to low-stretch, low-creep, high-performance fibers. The unique blend of Dyneema high modulus polyethylene (HMPE) and Innegra-S, a high modulus polypropylene (HMPP), gives ML-12 performance characteristics between traditional polyesters and high-performance 100% Dyneemastringing lines. Because ML-12 offers lighter weight and higher strength at the same diameter as traditional polyester lines, it can be used on your existing equipment for heavier pulls. Size-for-size, ML-12 is stronger than polyester lines, making it possible to downsize the line on your equipment. ML-12 is the perfect powerline.